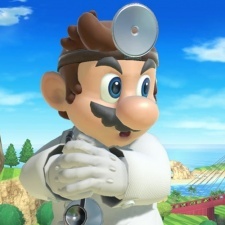 Nintendo has partnered with Line Corporation and NHN Entertainment to co-develop a new Dr. Mario World mobile game. The puzzle title will be free-to-play on iOS and Android and is set for an early summer 2019 release date. Its expected to launch across 60 countries including Japan and the US. Nintendo’s previous release, RPG Dragalia Lost, was limited to just five countries initially, though is expected to roll to new territories this year. Tokyo-based Line Corporation has previously worked on big hits such as puzzle title Disney Tsum Tsum, which has generated more than $1 billion in lifetime revenue. South Korea’s NHN Entertainment meanwhile has worked on a number of games for PC and mobile, including the popular Fish Island. Nintendo’s partnership with the two companies marks another departure from its landmark deal with DENA, with who it worked on titles such as Fire Emblem Heroes and Animal Crossing: Pocket Camp. Nintendo’s last release, Dragalia Lost, was developed by Cygames, though DENA is working on the upcoming Mario Kart Tour. The latter’s launch has been delayed until summer 2019.